The boys in the GCPD choir are singing “Galway Bay”, and Batman must take to the streets of Gotham to once again save the day, whilst trying not to fall through infinite world holes. Seriously, this game is buggy. Like, so buggy. 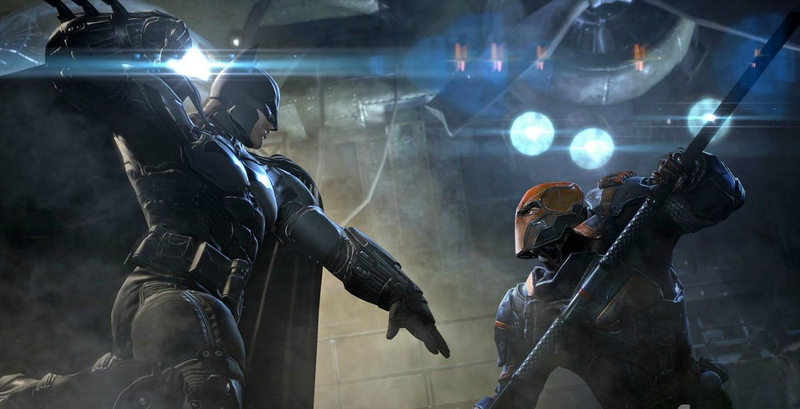 Like, OMG buggy… The third instalment in the Batman: Arkham series, Arkham Origins takes place approximately five years before the events of Arkham Asylum. It’s Christmas Eve, and Black Mask has put a hit out on the Dark Knight’s head, attracting a number of assassins to Gotham hoping to claim the prize. As such, Batman must track down and eliminate these threats, whilst saving an innocent bystander or two along the way. Whilst not an origins story in the traditional sense, Batman has been beating up criminals for about two years, and is still a bit of a fledgling in the big city. No one really knows if this “Bat Man” is a man, a myth, or a monster. Whilst Gotham City should be bustling with last minute shoppers, the streets seem very empty, which is only explained by an infrequent PA system announcing a curfew in effect. Still, this doesn’t stop Gotham’s beefed up thugs taking to the streets, getting up to all sorts of mischief. Those who have played Arkham City will be familiar with a lot of the setting – the metropolis landscape of Gotham City – with many of the buildings actually featuring in the series’ third instalment. The map is large, split into two islands connected by a bridge Grand Theft Auto-style, which must be traversed over…and over…and over again. Fortunately, there is a fast travel option, but it kind of seems like a copout; exploring the city should be fun, and not feel like a chore. The story itself for the most part is quite strong, but fails to deliver what could have been some fantastic moments. Only a couple of the assassins actually have some sort of impact and pose a real threat (no, Electrocutioner, not you). Fan favourites such as Deathstroke and Deadshot seem to have been cast aside like yesterday’s ham, with the former being defeated through what is essentially a long, tedious quick time event, and the latter in a predator room à la Two-Face in City. After the brilliant cinematic trailer featuring a fight between Batman and Deathstroke, these encounters seem very lacklustre. A few other non-assassin characters appear, making for some interesting side-quests, and it is definitely fun to see some lesser known characters such as Anarky or Firefly (no, Electrocutioner, not you) wreak havoc. This picture is more interesting than the actual fight. Arguably, Origins features some of the best dialogue in the series, with well-written exchanges between Batman and the Joker on the night of their first encounter. It’s interesting to see how the two characters’ symbiotic relationship began (in this universe, anyway), with various allusions to Joker’s origins story in The Killing Joke. Roger Craig Smith and Troy Baker do a brilliant job of bringing the characters to life, replacing Kevin Conroy and Mark Hamill respectively in the legendary roles. I, too, am angry, Batman. The main story probably takes about 10 – 12 hours to complete, but as with any Arkham game, there are oodles of side quests and collectables. The mysterious Enigma leaves datapacks around the city to collect, revealing information on extortion files associated with various characters. These act as the Riddler’s trophies do in the other games, but sadly there are no riddles to solve in Origins. Instead, the player must scan Anarky symbols located on various buildings, which isn’t nearly as fun and doesn’t make you feel half as smart. The new crime scene investigation feature is a fun gimmick at first, but the game pretty much spoon feeds you what you need to know. None of the crime scenes really felt like a challenge, and soon grew quite tiring. 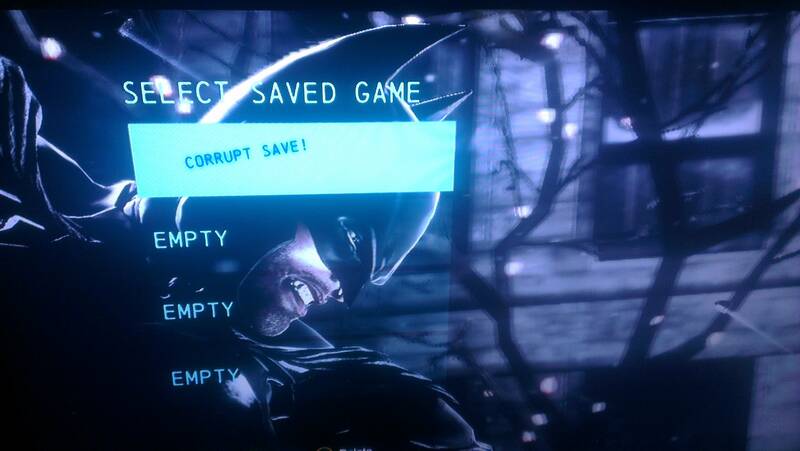 The game does, however, encourage the player to complete various challenges in combat, predator rooms and general city slicking to unlock more Wayne Tech upgrades. Overall, Origins is a good game, but unfortunately does not stand up to its predecessors. It’s also bugtastic, with players losing saves, falling through world holes, or being unable to progress through a mission due to a glitch. Rocksteady’s departure from the game is sorely felt, but if you enjoyed the other two Arkham games, or just looking at Batman in general, then this is a must play for you. This entry was posted in Blog and tagged Anarky, Arkham, Arkham Asylum, Arkham City, Arkham Origins, Bane, Batman, Deadshot, Deathstroke, Firefly, Gotham, Joker, Kevin Conroy, Mark Hamill, Origins, Roger Craig Smith, Troy Baker.